Adding lamb chops to your restaurant’s menu is as simple as placing an order with Schneider’s Seafood + Meats. Our butchers have more than 100 years of combined experience and can help you obtain lamb lollipop chops, as well as lamb loin chops. Your chops will always be cut with the best possible quality in mind, and with little variance in size to make cook times consistent for your chefs. 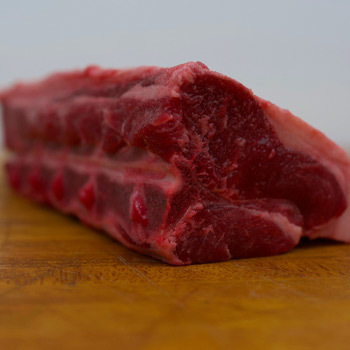 We also offer very competitive prices on lamb chops in the Buffalo and Western New York area. By offering lamb racks at your Buffalo restaurant, you can really differentiate yourself from competitors who may only be serving beef or pork ribs on their menu. 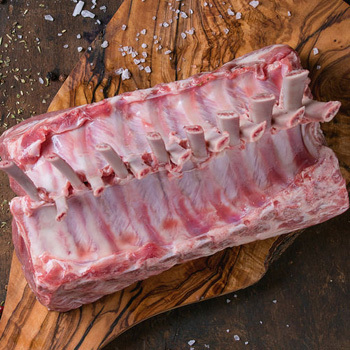 Schneider’s Seafood + Meats can provide you with New Zealand and domestic lamb racks featuring only choice cuts from the lamb. We also strive to provide our customers with affordable prices, and to keep the size of our lamb racks consistent for your chef's convenience. Whether you need lamb chops or lamb racks for your restaurant, Schneider’s Seafood + Meats has just the selection for you. This includes lamb lolly pop chops and lamb loin chops, as well as New Zealand and domestic lamb racks that will provide your menu with a distinct option for your customers. Our butchers will also make sure the sizes remain consistent so your kitchen staff will always know how to prepare certain cuts for your lamb-loving customers!